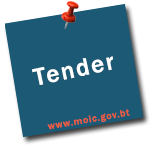 When and where to submit the tender documents? Last date: on or before 08th January 2019 , 10:00 AM. Late submission of bids and without bid security shall be subject to bid rejection.